The Manhattan City Commission voted unanimously to rezone a lot on the North edge of Aggiveville at 12th Street and Bluemont Avenue at their meeting in City Hall Tuesday. The lot is the future location of a Marriott Courtyard Hotel and is changing from the Aggieville Business District to a Commercial Planned Unit Development. City Manager Ron Fehr said they have not completed a comprehensive study on the Marriott’s economic impact on the city, but they anticipate it will add $10 million in property valuation to the city’s tax rolls. The 5-story hotel will have 127 rooms, a 1200 square foot meeting room and 113 parking spaces in a garage. That number of parking spaces is too few under current zoning regulations, which would require the developer to provide 127 spots. Though that is the current regulation, the city is in the process of creating a Unified Development Ordinance that would change the parking requirements in multiple zoning districts including the Aggieville Business District. The regulations under that UDO would only require the Marriott to provide 104 spots, so the developer requested the rezoning to mitigate any burden to adhere to regulations that will be changing. The new Marriott also would replace a city parking lot containing 42 spaces. As a result, the developer agreed to open up their garage to the public during non-peak hours and when it won’t impact their guests until the city completes its own parking structure in the Aggieville area. Details on exactly how that agreement would work haven’t been agreed on, which was a concern for Commissioner Usha Reddi. Deputy City Manager Jason Hilgers said that the exact details would have to wait until the hotel is up and running to be worked out. That way they can communicate with their yet-to-be hired hotel manager to determine when their peak parking hours are. Josh Wilcox works for the company overseeing the hotel’s design, the architecture firm Gary Brinks & Associates, Inc. He said though there is no formal agreement, they are committed to working with the city on public parking once the development is completed. Assistant Director of Community Development Chad Bunger said the parking garage will be screened by faux storefront windows. 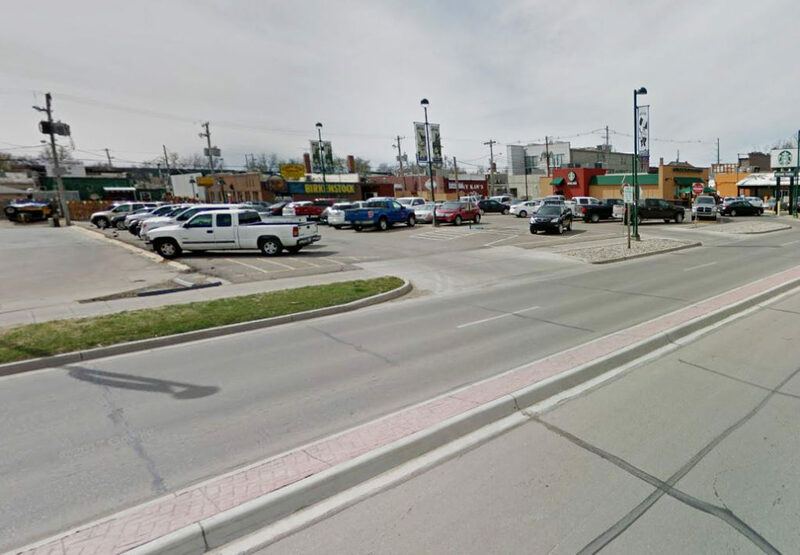 “We’ve paid particular attention to make sure that that parking lot doesn’t look like an airport parking lot with bumpers hanging off the edge and detracting from Aggieville,” said Bunger. Despite her concerns over the parking agreement, Reddi said overall this development is good for Manhattan. “Aggieville is an area that’s robust and vibrant and growing, but it does need new energy and I think this provides that,” said Reddi. Wilcox said the project is projected to begin in 2019 and take 16 months to complete. He said the development will likely have an impact on the surrounding community, be it through noise or traffic disruptions. “That’s part of this team’s responsibility, to work with the city work [and]with the neighbors to understand what can we do best to minimize those disruptions,” said Wilcox. The post City votes to rezone future site of Marriott Courtyard Hotel appeared first on News Radio KMAN.